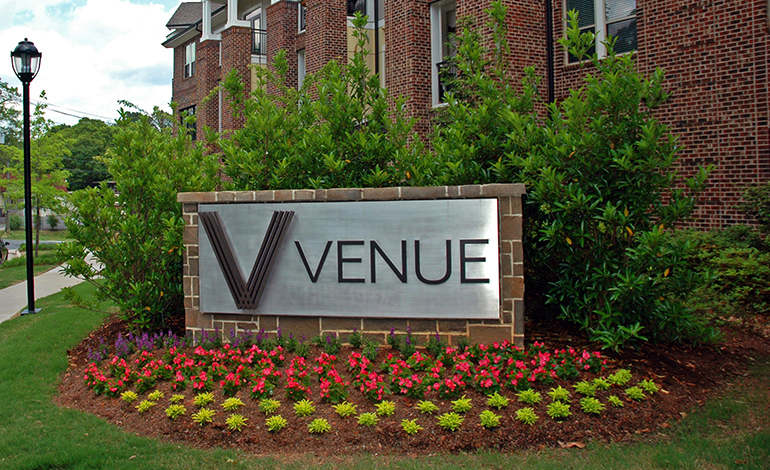 Venue is located in the premier Elizabeth neighborhood of Charlotte, NC, within walking distance to chic restaurants, popular nightlife and high-end shopping areas. 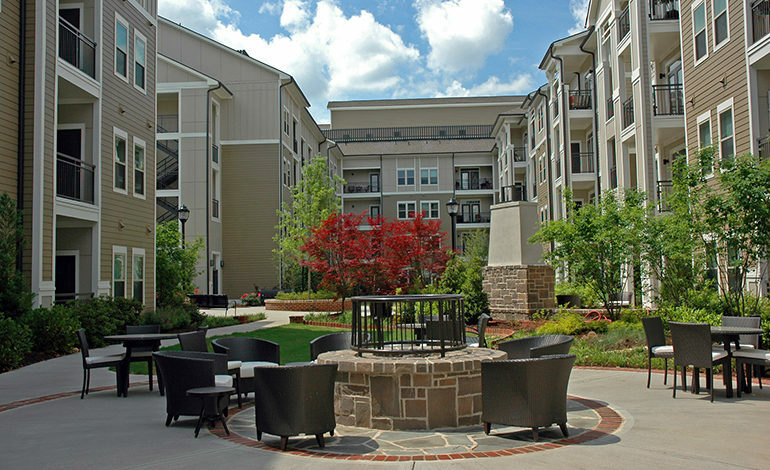 This multi-family development includes several separate residential buildings totaling 366 units, associated parking, parking deck, drive aisles, water and sanitary sewer service connections and a stormwater management facility. The site was subject to the City of Charlotte’s Post Construction Controls Ordinance (PCCO). To meet applicable requirements, a stormwater control measure (SCM) was constructed onsite consisting of an underground detention vault and sand filter. The facilities were designed to provide sufficient water quality control and release rate control to mitigate the expected increase in runoff. The proposed facilities were designed in accordance to the standards set forth in the Charlotte-Mecklenburg BMP Design Manual. Routine observation of the construction of the facilities was performed by McAdams, and final asbuilt certification of the SCM was completed in November 2014.